Available as a single FD30 Fire Door, a standard door and as a Bi-fold Glazed standard variant too. Oak Lincoln Glazed 3L Pairs. 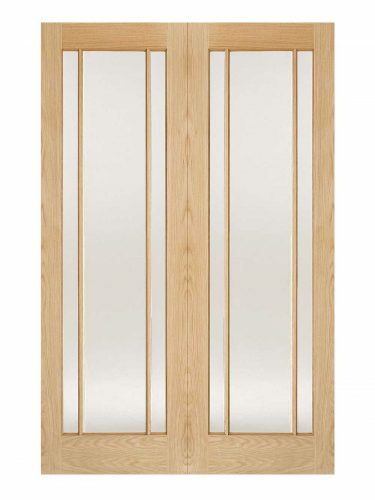 Two Lincoln Glazed doors together to create the perfect entrance-way to your lounge, dining room or conservatory. 3 Lights With Clear Glass.